Today I want to share with you how to make your own coordinating Digital Dies for stamps you have but do not own the coordination dies for. The process is not that complicated if you are already familiar using the Silhouette PixScan. For those of you that aren't, I have put together a step by step video of how to do it. Here is a sympathy card I made using the Digital Dies I created. The stamps come from Fleurette Bloom's Pawsatively Fabulous Stamp Set. 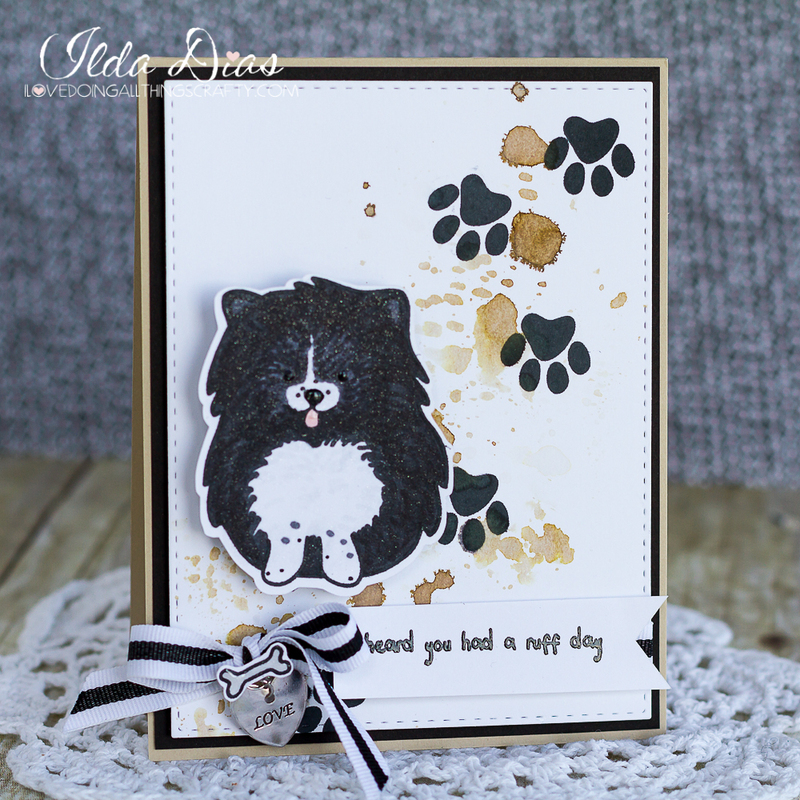 Super cute stamps, perfect for the dog lover in your life! The best thing about these digital die files is that you can cut out a whole bunch on plain white card stock (whatever you use for stamping) and save them for a different time. Just put the cut blank dies in a baggy and when want to create with the coordinating stamps you are ready to go! If you run out of them just cut some more out from your saved file. I used my Spectrum Noir markers to color this pup and added Wink of Stella for some shine! To the eyes, nose and the dog bone, I added some glossy accents. I used Tuxedo Black Memento Ink and Walnut Stain distress ink. 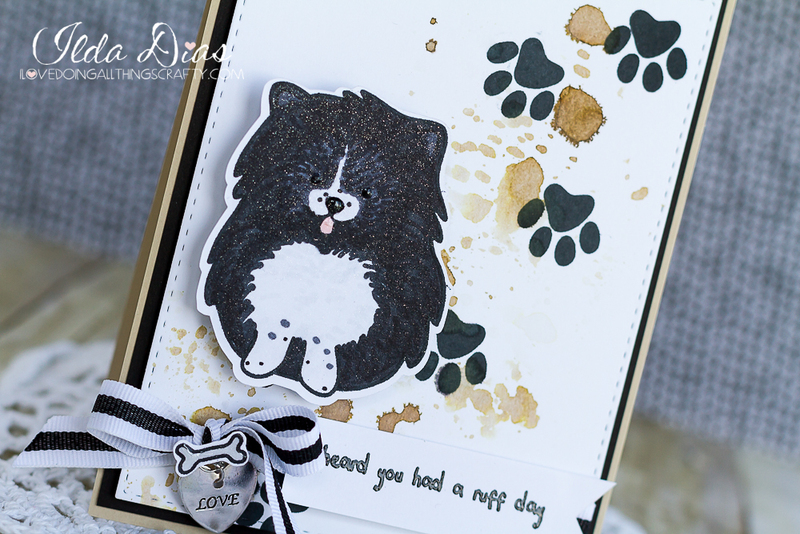 Stamped the sentiment with Versafine Onyx and embossed the sentiment with WOW clear powder. The inside stamps come from here.